If you’re a fan of the art style you can’t get much better than this. Although there are issues that the developers need to fix immediately. The only reason I don’t give this game five stars is because, with the new update, the game has started crashing when starting combat. I have an iPhone 6s, I even tried to reinstall the app. It’s only gotten worse. Could someone help with this please? Amazing game with only a few complaints. 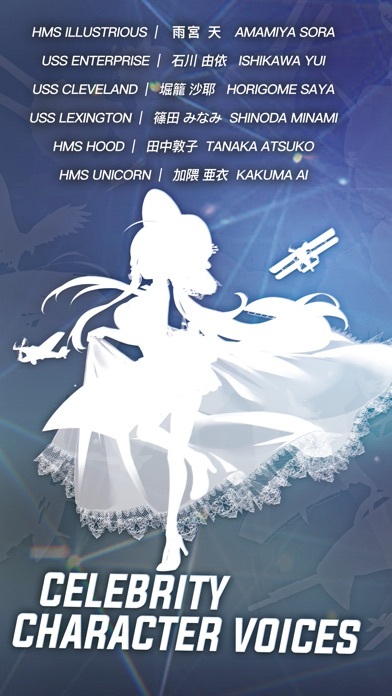 Azur Lane is a great game. It didn’t look like much to me gameplay wise at first but after playing it became very fun. When you need to look up info for your game be it equipment or character or need help with some problems in your game the discord server for this game is great for that. Now for some issues I have. Let’s start with the obvious one for all games and my biggest complaint. Pull rates for characters and duplicates. 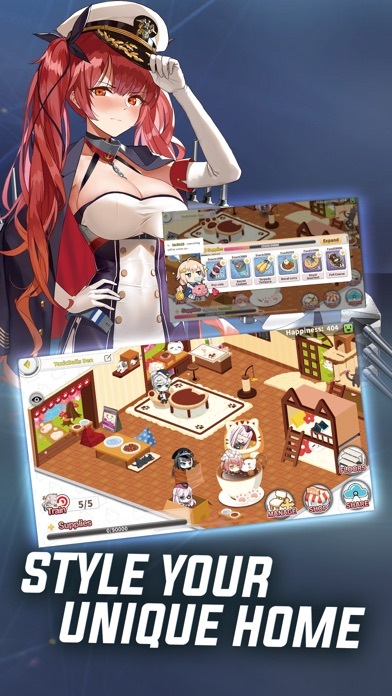 Ok Azur Lane doesn’t require you to use premium currency at all to do any pulls on its gatcha system, which is great since it feels more optional to buy gems for wisdom cubes. You can get cubes everyday from daily missions and you can get more with gems, 300 gems for 11 cubes. However pull rates are a little... odd. 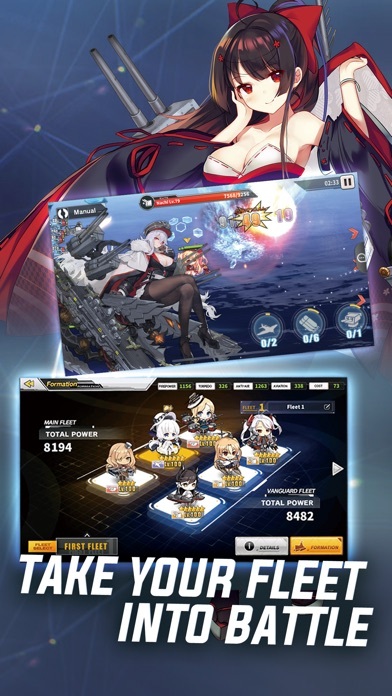 Despite the rates being shown and build times showing you exactly what set of shipgirls you’re going to get it’s like there are two sets of RNG in play. Which build time you get, then what rarity of character you get from that time. Since the game (and it doesn’t seem like a coincidence) heavily favors giving duplicate ships, like you would say for other games, there is a very likely chance your wisdom cubes will be wasted on the exact same set of characters 80-90% of the time. From my experience (and probably some others) the build time for 1 hour 30 minutes is a horribly common build time you will always get. This group of only rare ships that you’ll probably never use has been the bane of my existence when it comes to building ships. In every single limited construction event 70%+ of my pulls has been this time. As it costs 1500 gold and 2 cubes per pull for limited construction it is a total waste to include this time among some other in every limited time events. However it gets a bit worse when some girls share the same build time. Specifically the limited timed ones. At the time I’m typing this I’ll put the 2 super rare ships for the current event, Kawakaze and Nagato. Kawakaze’s build time is 25 min, often blocked by the build times 27min, 28min and 1h 30min, however this one character also shares this build time with 9 other characters. Nagato’s time is 4 hours 20 minutes, often blocked by 1h 20, 1h 30, 1h 40, 1h 50, 4h and 4h 10. Nagato shares this time with 5 other character and one of them is another super rare ship that is not limited. Here’s the issue. Limited constructions character pool is too huge, as it nearly combines all 3 construction types into one. On top of that it also allows all the limited ships to share their build time with completely unrelated ships to the event. Because of that getting the exact build time will either be the ship you want or a normal ship you’d normally get from that time. Since this is a bit of a common problem it might be better to reduce the amount of characters you can get from limited construction. Possibly having it be only the same ship types as each of the new characters for limited, but also only allow the limited ship to be the only one you can pull for if they happen to share a time with a normal non limited ship. There is NO safety net for limited characters or for anything which is never a good thing. Aside from that farming ships that only drop from boss nodes when playing the game can use a bit more work. When farming for specific ships since some super rare ships can only drop from a boss at an absurdly low rate, you have to deal with usually 4 or more pointless fights before you can fight the boss. 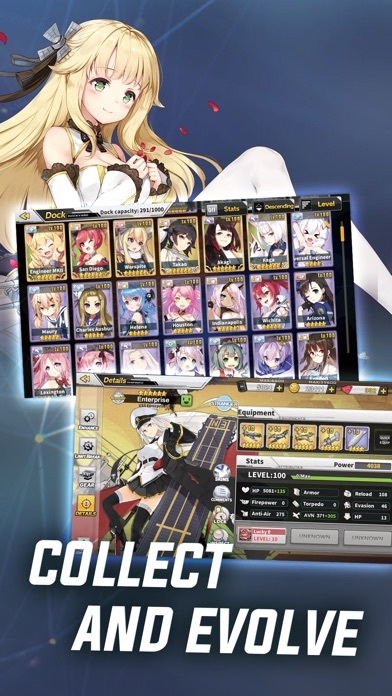 Now in other games battles are pretty much well the whole level be it you manual or auto however with Azur Lane you have manually move your characters to each enemy on the map then when the boss spawns manually move to that one. Since you can have the game auto it’ll come to a complete halt if the battle ends since you have to take control see the results and then move on to the next fight until you finally get to the boss and you don’t get what you’re there for. Now not getting drops is normal but since you kinda have to babysit the game to start the next fight it’s pretty slow. The only thing they have implemented for this is only for story mode hard stages. After you 3 star the stage and complete it (as the majority of stages requires you to play it 3+ times to actually clear it) after doing several more fights you’ll actually clear up the normal enemies and you can go directly after the boss every single time after that happens. While this is a great system, it really needs to be in specific normal stages and event stages to speed up farming. Other than these things the game is really great for those that like the way it looks and for collecting characters. Avoid Game and Developers! Broken RNG! Avoid this game and company! Broken RNG which significantly impacts character build rates! Maybe this is even done deliberately? Maybe after reaching a certain level, as you advance levels, or after purchasing gems with real currency? I have sent emails to the developer concerning this matter, but no response. Character construction: to build character requires one to accumulate both wisdom cubes and coins. You usually obtain around 4 wisdom cubes per day from daily missions but have a small chance to get 1-3 from commissions. Taking into account weekly missions and daily log-in gifts, you can get to around less than 40 per week, or 180 per month (160 + 20 from log-in gifts). Note that this is an approximation that makes a few assumptions. You can also buy them with gems - 300 gems for 11 cubes ($4.99 for 300 gems). I was a level 80 commander, who during the Ink-Steel Steel Sakura event, used almost 280 cubes, or 140 builds! This was my experience: 2 of 12 of the super rare (%7 chance) characters were limited builds, even though they have an increased rate of 2% per character; there should be a 4/7 (two characters), or 57% chance of getting a limited super rare. This is a 40% difference! I would often get the same common character (%30 chance) 3-4 times in a row! What is up with these occurences? They don’t make sense!!! I quit immediately upon this occurring! Never have I been so frustrated with a game before! Edit: I had created another account around the time this occurred and obtained 2 limited SR characters out of 3 within 20 builds. Clearly something is up! Bought gems and didn’t receive them? I’ve been playing this game for a while now and have noticed a few people complain about not receiving gems. Most of these people say they have sent messages and are waiting on replies. I don’t know where they sent their messages but the best place for customer support is the official discord. The devs usually keep an eye on the discord and respond to problems within a day or two. So, if you did buy gems and didn’t receive them try the official discord before giving up. The game kicks me out! Every time I fight the boss in D2, the game kicks me out. After the recent incident where people lost their accounts (me included), I was able to get my account back after they fixed the issue but I then ran into another issue. My game keeps crashing now. I’ve never had this issue until after I lost my account and got it back. I’ve uninstalled it and reinstalled it twice so far with no luck of it fixing itself. I’m using an iPhone 6. I still love the game, just would like to have my crashing issue fixed. Play with caution. This game will consume your soul. 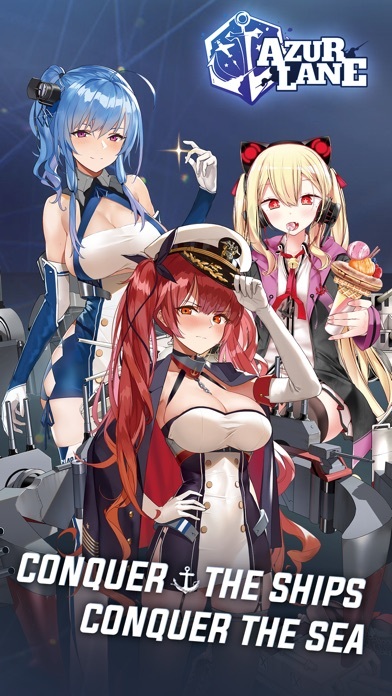 In all seriousness tho if you like gacha games, cute girls, world war era naval history, and Touhou style bullet hell, this game has all that and more. I just logged in, and my account has seemingly disappeared. I had it bound to Facebook, but I still cannot access it. My UID was 100200, but I still could not access the account. Username was SergeantSquare; if you could provide me access once again I would be grateful. I can open the game but as soon as I try to hit play the app crashes to the home screen on iPhone 8 Plus.